The Guardian is a national publication founded in 1821; it’s very well established among the British and is published six days a week with a reach of 166,965 readers. The response of the UK to the Riviera Nayarit’s outreach program directed at new Emerging Markets has been outstanding, which is why the Destination has been steadily working its positioning within this segment in Europe. Proof positive is in the latest article published in The Guardian, which was generated thanks to the work done by the Public Relations office of the Riviera Nayarit Convention and Visitors Bureau (CVB). 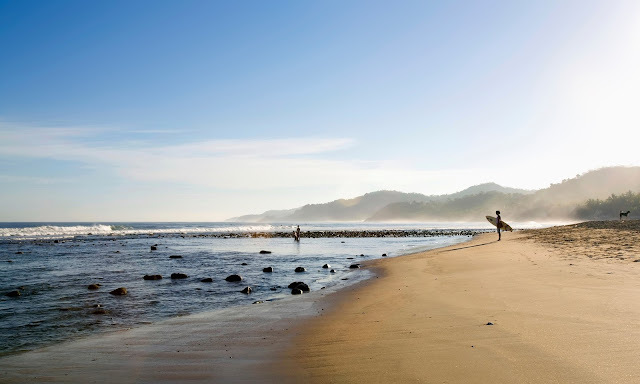 The most recent piece published in December’s The Guardian was titled “Sayulita, Hippy Chic Mexico on the Pacific coast.” The publication also mentioned Santa María del Oro, one of the Enchanted Lakes of Nayarit. Previously, The Guardian had already published an article titled “Top 10 budget beach hotels and B&Bs on Mexico’s Pacific coast,” which was a list of recommendations for well-priced accommodations. Number two on the list was Casa Roxana Bungalows in San Blas with Hotel Posada La Misión in Rincón de Guayabitos coming in at third place. The Guardian is a national newspaper founded in 1821; it’s very well established among the British and is published six days a week with a reach of 166,965 readers. The UK has positioned itself in fourth place as the destination of origin for tourists to the Riviera Nayarit, second only to the three North American countries.